Which Is London's Smallest Museum? Zoe Craig Which Is London's Smallest Museum? Following our ruminations about London's smallest theatre, we turn our attention to London's smallest museums. Here are some of the city's tiniest treats for fans of smaller museums, taking into account the size of their collections, their physical space and quality. 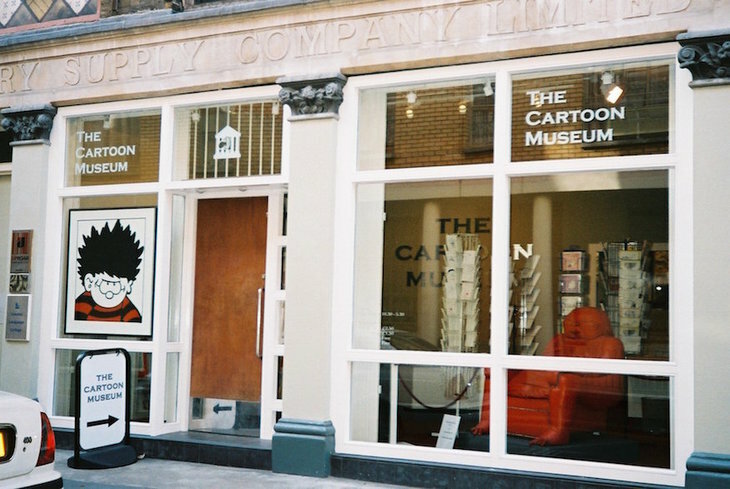 The diminutive Cartoon Museum on Little Russell Street is dedicated to British cartoon and comic art from the 18th century to the present day. Opened in February 2006, it has three galleries where it shows temporary exhibitions, and a permanent collection. Pieces by Hogarth, John Tenniel, H M Bateman, Matt, Steve Bell, Charles Schulz and Posy Simmonds feature. While the museum's spaces are relatively small (just one room upstairs and one room down), the Cartoon Museum's collection extends to a library of 5,000 books on comics and cartoons which is available for research by appointment. So while it's a fab place to visit, we don't think it can take the crown for London's smallest museum. But it's certainly the smallest on London's Museum Mile. Cartoon Museum. Photo from the artfund website. If you're interested in heritage brands, Twinings on the Strand may be just your cup of tea (fnarr). 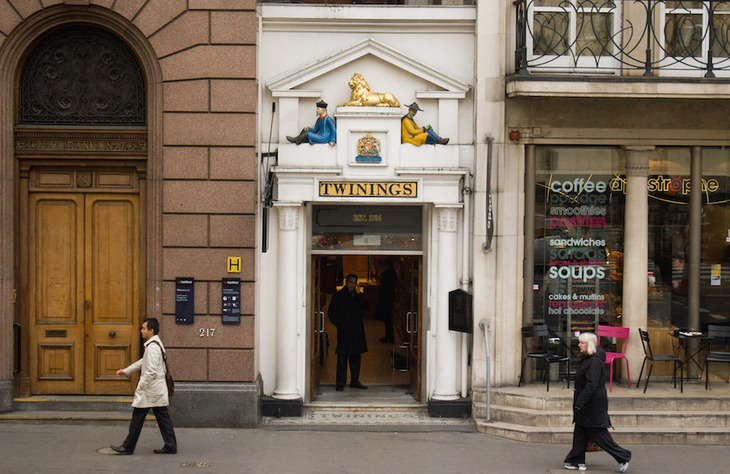 The Twinings shop is notable for many reasons; as well as being London's first tearoom (opened in 1717), the company has been at that address since it started business in 1706, making it the oldest rate payer in London. Pop in to peruse their tiny Tea Museum (really just a collection of objects in a few cases), and you can see the original copy of Twinings' Royal Warrant (granted by Queen Victoria in 1837), a selection of Twinings tea caddies and historic packaging, as well as original paintings of the Twinings founders. For something stronger, and almost as small, whet your whistle at the nearby Savoy's museum of cocktails. 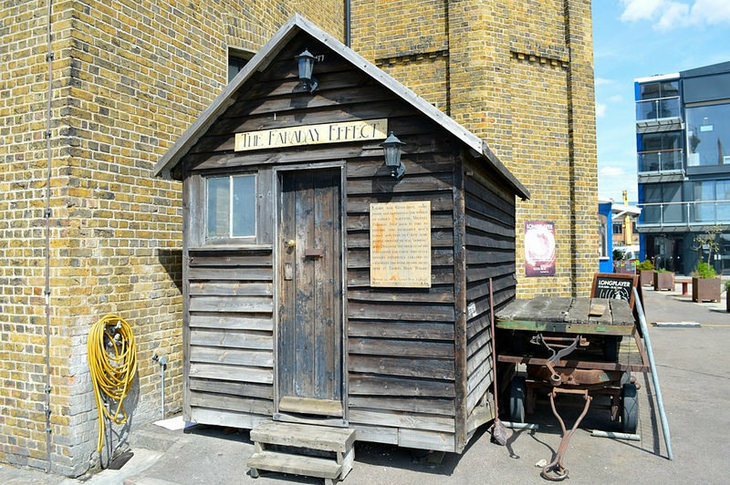 Located in a shed, in one of London's oddest dockland pockets (Trinity Buoy Wharf) is The Faraday Effect, a mini-museum dedicated to the work of scientist Michael Faraday. Created by artists Ana Ospina and Fourth Wall Creations, The Faraday Effect is an immersive installation, a 'recreation' of Faraday's workshop decorated with antiques, found objects, and fishing ephemera, as well as sound recordings, explanatory notes and historic documents. What's it doing in Trinity Buoy Wharf? Well, the site has a connection to everyone's favourite Victorian electromagnetist, as Faraday worked as Scientific Advisor to Trinity House for nearly 30 years from his appointment in 1836. He conducted many tests in electric lighting for lighthouses, using the Experimental Lighthouse positioned at Trinity Buoy Wharf in the 1850s. An interesting contender for London's smallest museum, the Museum of Soho (MoS) is actually London's first 'virtual' museum. You can access artefacts in the Museum of Soho via a large screen in Sherwood Street, opposite the Piccadilly Theatre. 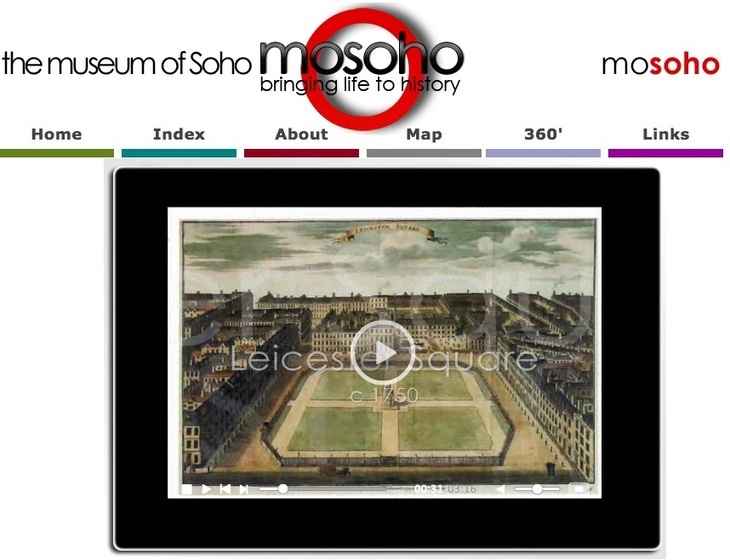 Touch the screen to ogle illustrations, objects, galleries and articles about Soho's unique history. You can also access the Museum of Soho's collection online. Yet without a physical home, it's hard to conclude MoS is London's smallest museum. We'd like to award the title to the Faraday Effect — but let us know in the comments below if you disagree.